The WordPress theme development community is alive and well as we've seen a ton of new themes released this year. This is only a partial list of what has been released in the last few months. Too keep this post not getting too large we've limited it to 105 themes. Like other posts we'll be keeping this updated so look out for a part two soon. Enjoy. 2 portfolio detail page layouts, 4 custom widgets, extensive theme options, dropdown menus, multiple sliders, filterable portfolio, page templates (including contact form), custom login logo, column shortcodes. Layered PSD, jpg, CSS, JS and PHP files included. Layered PNG, layered PSD, jpg, CSS, JS and PHP files included. Unlimited colors, multiple image upload, horizontal slider for photo gallery, 30 header fonts, flexible homepage content, 8 custom widgets, styled typography and flexible page columns, shortcodes, custom post type support for portfolios, Timthumb auto thumbnails, unlimited sidebar, contact us page. 2 different navigation styles, feature videos, 2 slider options, content slider, options panel, 2 different listing styles, contact form, auto image resizer, PrettyPhoto, 5 custom widgets, jQuery drop down menus. Layered PNG, layered PSD, jpg, html, CSS, JS and PHP files included. Unlimited colors, customizable typography, extensive theme options, portfolio page with shortcodes, custom post type for slider and portfolio, 50+ custom style shortcodes, Cufon font replacement, 8 custom widgets, custom sidebars, homepage content editor, custom Ajax contact form, widgetized footer, custom logo replacement, threaded comments and much more. 12 color schemes, powered by wizypanel, drag & drop image uploader, custom navigation, shortcodes, SEO optimized, image uploader with auto resize, autoplay and more. Layered PSD, jpg, html, CSS, JS and PHP files included. 100% liquid layout, 2 skins, no plugins needed, Lightbox for image & video, image uploader, integrated version of OptionTree, unlimited galleries, fullscreen slideshow, CSS theme options with color picker, social icons manager, multiple shortcodes, Ajax contact form. Sortable portfolio, shortcodes, 3 different slideshows, portfolio galleries with Lightbox, drag & drop homepage, PHP contact form, portfolio templates, jQuery drop down menu, Cufon font replacement and many additional jQuery powered effects. 5 home page sliders, 5 custom widgets, home page columns with widget areas, 8 custom sidebars, contact page, unlimited portfolio sections with many options, 960 grid system, multiple page templates, shortcodes. 15 skins, 3 sliders, 3 portfolio pages, extensive admin panel, shortcodes, PrettyPhoto, Cufon font replacement, multiple page templates, contact page with contact form, Google map, threaded comments. TS Display & TS Thinkbox plugins, slider post type, testimonials post type, menu manager, auto image resizing, 2 sidebar positions, 4 page templates, custom widget, jQuery cycle, jQuery PrettyPhoto, multi level dropdown menu, Cufon font replacement. 2 skins, fluid/liquid layout, SEO ready, 9 custom widgets, fully widgetized homepage, jQuery news slider, enhanced dropdown menus, Cufon font replacement, PrettyPhoto lightbox, colorpicker, page templates. Modular layout, 11 widget areas, 4 custom widgets, full width page, 3 blog pages, unlimited portfolio pages, contact page with contact form, 28 social icons, colorpicker, custom checkboxes and radiobuttons, built-in video player, Lightbox gallery, jQuery post slider, drop-down menu, extensive options panel and more. 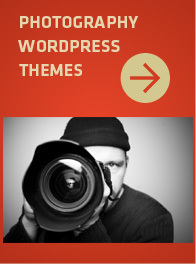 Theme requires PHP5. Horizontal scrolling layouts, fullscreen background images, PrettyPhoto lightbox, contact form, multiple flexible page templates, 20+ shortcodes, custom widgets, unlimited sidebars, theme options. Jpg, CSS, JS and PHP files included. Unlimited colors, 60+ shortcodes, unlimited slideshows, 5 portfolio layouts, 5 gallery layouts + slider, video support, extensive admin panel, 6 custom post types, FAQ module, 10 sidebars, 20+ widgetized areas, 5 custom widgets, SEO optimized and much more. CSS, JS and PHP files included. Unlimited colors, flexible homepage photo wall, 30 header fonts, flexible homepage content, 4 portfolio page styles, 10 custom widgets, shortcodes, styled typography and flexible page columns, shortcode generator plugin, Timthumb auto thumbnails, unlimited sidebar, contact us page, many jQuery powered effects. Extensive admin panel, unlimited colors, 8 homepage slider styles, 30 header fonts, flexible homepage content, 4 portfolio page styles, 10 custom widgets, portfolio list and detail page, built-in image gallery, flexible pricing page, shortcodes, Timthumb auto thumbnails, unlimited sidebars, contact us page. CloudFw admin panel, configuration wizard, 90+ shortcodes and shortcode generator, slider management system, 3 slider types, auto thumbnail support, video support, custom widgets, Ajax contact form, nested comments, Cufon font replacement, dynamic sidebars, breadcrumbs and more. Drag & drop widgetized homepage, 10 custom widgets, many shortcodes, unlimited widget sections, custom portfolio pages, 7 custom page templates, custom made theme options panel, 4 color schemes. Advanced options panel, custom page templates, featured slider, custom menu, multiple custom widgets, threaded comments, SEO options section, custom logo input, auto image resizing, banner management section, custom background support. 15 color presets, 3 column layouts, 9 post types, up to 4 footer widget columns, 7 theme skins, threaded comments, custom menu builder, multi-level dropdown menus, custom footer text, child theme support. Extensive options panel, maintenance mode, customizable options for each post, header & footer scripts, 6 colorstyles, 3 custom widgets, ads widget, smart theme panel. Additional images, html, CSS, JS and PHP files included. 30+ shortcodes, extensive admin panel, slider manager, 3 customizable sliders, portfolio custom post type, unlimited colors, multiple custom heading fonts. Layout builder, up to 32 customizable widget positions, 2 layout options, 4 custom widgets, 10 color variations, 6 widget styles. Html, CSS, JS and PHP files included. 2 custom post type galleries, 30+ jQuery powered animations, extensive options panel, customizable footer, fullscreen background, dummy content included, Cufon font replacement, 40+ theme options, custom write panels, contact form. Layered PNG, layered PSD, images, html, CSS, JS and PHP files included. Extensive options panel, colorpicker, Cufon font replacement, shortcodes and more. Layered PSD, layered PNG, html, CSS, JS and PHP files included. Darg & drop features, content style boxes, customizable sliding image, unlimited portfolio, full width, widgetized sidebars & footer, threaded comments, Gravatar support, extensive admin theme options, custom footer text, Google analytics and many more features. Customizable header, changeable grid colors, content slider, footer with contact form, 2 portfolio page layout options. Blog or custom homepage layout, 2 included colorstyles, multiple sidebar layout choices, upload your own logo, full width templates, jQuery PrettyPhoto popup, 4 sidebar layout modes, up to 4 widgetized footer areas, Google analytics and many more included features. Unlimited color schemes, shortcodes, extensive admin panel, jQuery enhanced, optional welcome message, sliding portfolio, portfolio lightbox with video support, Google analytics, Cufon font replacement, 7 page format options and more. Extensive admin panel, unlimited colors, 7 homepage slider styles, 30 header fonts, customizable homepage content, 3 portfolio page styles, 10 custom widgets, built-in image gallery, multiple ready made pages, flexible pricing page, styled typography and flexible page columns, shortcodes, unlimited sidebars, contact us page. Layered PNG, layered PSD, CSS, JS and PHP files included. 15 colors, 15 textures, 30 menus, flexible homepage setup, 4 slideshow choices, 11 custom widgets, many portfolio options, widgetized footer, built-in SEO, shortcodes, font control, 7 page templates, flash enhancement, jQuery enhancement and more. 2 WP3 menus, 3 custom post types, multiple page templates, 4 portfolio types, 14 shortcodes, 3 widgetized areas, 3 theme widgets, video slider management, 23 backgrounds, drop menus, contact form. Unlimited colors, 5 plugins, 80+ shortcodes, advanced theme installer, billboard options, sitemap, optional tagline display, Google analytics, custom logos, configurable footer sidebars, social networks integration, ads management plugin, TimThumb and Lightbox integration, unlimited sidebars and much more. Contact form, jQuery powered, valid xHtml/CSS, slideshow, jQuery lightbox clone, 6 portfolio pages. 10 skins, powerful backend options panel, multiple layouts, 3 sliders, 4 homepage layouts, 7 portfolio layouts with video support, multiple widgetized sidebars, nested comments, 60+ shortcodes, ajax contact form, optional breadcrumbs navigation, Lightbox, TimThumb automatic thumbnails, price boxes, visual admin editor, Cufon font replacement. Content composer (modules), 29 fonts for headings, 4 custom widgets, powerful theme options panel, 10+ shortcodes, image gallery slider, contact form, author box, nested comments, 10 skins, jQuery drop-down menu and more. Jpg, html, CSS, JS and PHP files included. 14 custom widgets, extensive theme options, jQuery sliders, dropdown menus, multiple sliders, filterable portfolio, page templates including contact form, shortcodes, pricing tables & feature tour, video support. 6 color variations, slider post type, menu manager, auto image resizing, 8 sidebar positions, 4 page templates, jQuery Nivo slider, jQuery PrettyPhoto, multi level dropdown menu, Cufon font replacement. Extensive admin panel options, shortcodes, dummy content, threaded comments, portfolio template, jQuery powered gallery, slider for images and captions, two.level jQuery dropdown menu, contact form, Cufon font replacement, several plugins included. Layered PNG, jpg, html, CSS, JS and PHP files included. 13 color skins, 6 custom widgets, 40+ shortcodes, 2 sliders, 3 homepage layouts, 2 blog layouts, 2 portfolio layouts, admin panel, SEO optimized, @Font-face font replacement, pricing table, gallery. 5 premium skin options, 16 pre-defined backgrounds, background slider features, WPML plugin support, custom shortcodes, custom home page posts, widgetized homepage, many layout possibilities, 3 sliders, product showcase with many options, portfolio pages with video support, unlimited custom sidebars, custom admin panel, auto thumbnails and much more. 20+ page templates, 50+ shortcodes, 35 custom fonts, 5 sliders (+ 3D flash slider), 70+ transition effects, animated portfolio with custom filtering, drag & drop sidebar and footer, Cufon font replacement, CSS font replacement, ajax contact form, unlimited sidebars, auto image resize and crop, videos in image slider and many more features. Extensive control panel options, 8 custom page templates, traditional blog + grid blog, 10 Cufon fonts, driven by the Dynamic vGrid plugin, social media widgets, widgetized sidebars. 5 color schemes, 3 home page layouts, custom image slider, custom post type, custom menu, featured image, contact form with auto-responder option, jQuery dropdown menu, portfolio with video support, Lightbox with video support, 5 custom widgets, threaded comments, social links/icons. Google fonts, unlimited color schemes, 10 custom widgets (including portfolio and ads), 13 widget-ready areas, configurable homepage blocks, Twitter feed, 5 page templates, contact form, featured posts slider, column and portfolio shortcodes, SEO friendly, multiple theme options, dropdown menus, nested comments. 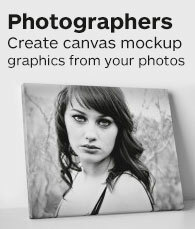 7 skin variations, 5 background variations, many shortcodes, video support, multiple page layouts, individual page/post customization, built-in video player with commercial licence included (worth $80), custom widget, improved PrettyPhoto lightbox, Cufon support, contact form, dropdown menus, unlimited sidebars and much more. Fully tableless design, several sections, multiple slideshows with many effects, PrettyPhoto, PHP contact form, Cufon fonts, dark or light layout and more. Unlimited color options, sortable portfolio with paging support, Cufon font replacement, auto sized images, 3 sliders, static featured promo area with video support, dynamic sidebars, 40+ shortcodes, 4 custom widgets, breadcrumb navigation, SEO optimized, Lightbox with video support, full width page template, contact page template, ++. 7 theme styles, Option Tree (Wp Envato admin panel), easy install and ready shortcode, full ajax control, 50+ buttons, 20+ shortcodes, custom fields, 7 ready widgets. Multiple backgrounds, 8 custom widgets, 8 page templates, 50+ shortcodes, unlimited custom sidebars, 3 slideshows, multiple homepage variations, Timthumb resize script integrated, featured image option, contact form, extensive theme options. Layered PSD, CSS, JS and PHP files included. Unlimited background colors, 11 background patterns, dark + light frame style, image slider, jQuery dropdown menu, 2/3 or 4 columnd portfolio layout, 13 page layouts, 28 shortcodes, Timthumb auto thumbnails, contact us page, custom widgets, multiple jQuery effects. 5 color schemes, light/dark background options, 9 custom widgets, 2 jQuery slider homepage options, completely widgetized, shortcodes, drop down menu, contact form, jQuery lightbox. 5 color styles, unlimited background color options, tableless design, narrow/stretched layout, many jQuery effects, several sliders. Tableless design, multiple page templates, jQuery powered sliders, dropdown menus, filterable portfolio, PHP contact form, Cufon font replacement. 3 custom widgets, custom Nivo post slider, integrated ad options, unlimited color variations, multiple custom theme options, contact form. Various header options, 2 home page layouts, slide show, news/blog summary, simple shopping cart, newsletter system, 7 custom widgets, several custom post types, Google map, contact form. 6 different styles, 20 custom widgets, 13 different frontpage sliders, slideshow post thumbnails, video post thumbnails, advanced theme options panel, custom URL shortener and sharing tool, popular posts, widget ready areas, 20+ shortcodes, 15+ Google custom fonts. 30+ shortcodes, 3 homepage layout options, 4 widget areas, 6 color schemes, 8 custom widgets, 17 page templates, 3 sliders, multiple lightboxes, tabs, accordions, extensive theme options, multiple custom post types, 3 portfolio overview templates. Extensive admin panel, unlimited colors, 7 homepage slider styles, 3 header fonts, 5 portfolio page styles, 4 blog page styles, 10 custom widgets, image gallery, flexible pricing page, shortcodes, TimThumb auto thumbnail support, unlimited sidebar, contact us page. 1 minute automatic template setup, powerful theme options panel, flexible home page layout, unlimited portfolio with 4 layouts, unlimited sidebars, 20+ theme styles, 10+ color schemes, 5+1 home page slider with video support and staged content, drop down menu, 7+ custom widgets, threaded comments and many more features. jQuery portfolio with filtering, jQuery accordion, 8 color schemes, valid xhtml strict/CSS3. Unlimited colors, extensive admin options panel, customizable typography, SEO optimization, custom post type for slider and portfolio, 80+ shortcodes, Cufon font replacement, 10 custom widgets, custom sidebars, homepage content editor, custom ajax contact form, widgetized footer, threaded comments and much more. 11 pre-defined skins, 26 background patterns, 4 slideshow types, Cufon font replacement, multi level dropdown menu, custom page templates, custom shortcodes, widgetized sidebar and footer, 9 custom widgets, ajax contact form, threaded comments, extensive admin panel. 20+ @font-face fonts available, extensive theme options, jQuery enhanced, multiple page templates, custom widgets, shortcodes, and 1, 2 & 3 column filterable portfolios with categories. Extensive admin panel, unlimited colors, 17 background patterns, drag & drop homepage contents manager, 5 different portfolio page styles, 10 custom widgets, built-in image gallery, flexible pricing page, multiple page styles, shortcodes, unlimited sidebar and much more. 30+ shortcodes, 5 widgets, flexible layout, adjustable colors, cufon support, @font-face support, numerous post and page options, 4 footer widget areas, unlimited blog and portfolio pages, different gallery types, lightboxed videos, comment form with validation, Ajax uploader support and much more. Robust admin panel, 3D sliders, 70+ shortcodes, 20 color variations, 20 page templates, point and click shortcode manager, unlimited sidebars, 5 portfolio layouts, form builder, ++. 4 homepage layouts, 6 page layouts, 5 color style variations, homepage slider, 3 custom built-in widgets, custom style options, social icon support, CSS3 dropdown menus and CSS3 styles & gradients. 2 themes, custom post type for photos, lightbox, extensive admin menu, custom image scroller, shortcode collection, TimThumb image crop and resize, jQuery effects, all scripts included – no plug-ins needed. Multiple page templates, html editor shortcode buttons, 12 widget areas, custom ad widget, custom post types, custom admin panel, sortable portfolio items. Fullscreen slideshow, unlimited colors, 30 header fonts, built-in font manager, extensive galleries admin, 4 portfolio styles, 8 custom widgets, styled typography and flexible page columns, shortcodes, unlimited sidebar, jQuery powered effects. Fullscreen image slideshow, custom background images, multiple slideshow options, 4 portfolio layouts, unlimited colors, 7 Cufon fonts installed, 30+ shortcodes, 3 custom widgets, PrettyPhoto lightbox, unlimited sidebars, threaded comments and Google Analytics. Light & dark skins, custom page layout composer, drag & drop gallery manager, jQuery slider, unlimited sidebars, custom shortcode generator, social icons manager, 5 portfolio types, 7 custom widgets, 404 custom page, Lightbox, 20+ shortcodes. 3D slider, accordion slider, cycle slider, unlimited skin possibilities, work/product/client showcase, theme options, 4 custom post types, special custom taxonomy, 40+ shortcodes, 20+ custom widgets, unlimited sidebars. Html5 & CSS3, unlimited color elements, different background styles, 30+ shortcodes, shortcode generator, different header styles, sidebar generator, AJAX contact form, Cufon font replacement, custom widgets, Google map integration, jQuery drop down menu. Extensive admin panel, unlimited colors, 33 built-in fonts, fonts manager, drag & drop homepage contents manager, 3 different portfolio page styles, 10 custom widgets, built-in image gallery, multiple page styles, styled typography, flexible page columns, built-in shortcodes, shortcode generator plugin, automatic thumbnail support and unlimited sidebar. 2 themes, 8 portfolio styles, full-size background gallery with thumbnail scroller, lightbox, extensive admin menu, shortcodes, tag support, customizable sidebars, custom widgets, auto image cropping and resizing, multiple jQuery effects, no plugins needed. Unlimited skins, 35 pattern backgrounds, extensive admin options, sidebar generation functionality, colorpicker, flexible slider image management, Cufon font replacement, 4 jQuery image sliders, portfolio showcase template, portfolio gallery template, jQuery tabs, AJAX contact form, widgetized footer, pricing table design and much more. 5 different gallery styles, fullscreen image background, advanced theme options, threaded comments, custom contact page template & widget and more. Dummy content install for fast setup, multiple layout and font options, portfolio custom post types, portfolio filtering, Cufon font replacement, jQuery effects, image preloader, ajax/php contact form. Unlimited backgrounds, multiple sidebar options, 4 homepage sliders and static image, 8 fonts, 11 page templates, social icons pack included, ajax contact page, shortcodes, 9 custom widgets. 2 custom widgets, custom post type for slider, 4 color variations, 3 sliders, 3 portfolio templates, image resizing, custom theme options, contact form. 8 skins, 6 layout templates, 40 admin options, 2 frontpage layouts, 2 portfolio types, 5 custom widgets, 8 widget areas in sidebars, widgetized footer, custom 404 page, 60 shortcodes, jQuery contact form, breadcrumbs navigation, custom styled archives and search pages, custom styled lightbox and much more. 5 color styles, 2 layered slider, in post slider, video integration in portfolio, gallery, widgetized mainpage, unlimited sidebars, shortcodes, custom premium widgets for mainpage and sidebars, contact form in footer area. 2 homepage templates, 8 theme skins, custom web font with @font-face, widget-ready, 18+ shortcodes, tweet button for blog posts, social media URLs, jQuery functionality, custom page templates. Layered PNG, jpg, CSS, JS and PHP files included. Unlimited colors, 17 fonts, custom frontpage, sidebar options, custom gallery page template, custom gallery post template, custom widgets, multiple shortcodes, jQuery slider, 8 slideshow effects, Fancybox on gallery page, extensive options admin panel, CSS layout, Cufon font replacement. 3 portfolio styles, own photo gallery, highly customizable homepage, thumbnail generation and resizing, 5 custom widgets, 30+ shortcodes, drop down manu with 2 color options, 2 sliders, powerful configuration page, contact form plug-in included, SEO optimized, full width page template, easy logo replacement. 15 styles options, multiple homepage slideshow options, 2 blog templates, 5 custom widgets sidebars, menu manager, 2 gallery page templates, portfolio pages, 12 shortcodes, full width page template, breadcrumbs navigation, extensive admin options, ajax contact form. Cufon font replacement, 7 page templates, custom portfolio posts, custom theme options, 11 custom widgets, custom footer with 4 widgets, multiple shortcodes. One page portfolio theme. 12 color variations, shortcodes, dynamic image resizing, animated scrolling with jQuery, header slider, vertical scroll modules, ajax php newsletter form, scrollable slider, overlay window, portfolio window, Google Map, ajax php contact form, Cufon font replacement. 6 custom layouts, 3 skins, TimThumb image resizing & post thumbnail auto resizing, PrettyPhoto integration, new post metaboxes, custom post types for portfolio/media, jQuery toggle, full width custom page template, Google fonts, shortcodes, custom widgets. 5 color layouts, showcase portfolio with video support, Google maps integration, ajax contact form, Sifr font replacement, custom Twitter widget, nested comments, custom logo replacement, breadcrumbs navigation. Logo replacement, background image/pattern and repeat option, unlimited color options (colorpicker), custom article widget, social integration, Google Analytics, Google map, advertisement ready, shortcodes and more. 14 widget areas, featured sliders for posts, customizable top carousel animation, many templates (404 page, image, gallery, interview, archive ++), 2 styles, drop down menus, 3 custom widgets, custom background options, Google analytics, font manager with Cufon support, post thumbnail/featured image, tableless code, jQueryeffects. 3 jQuery sliders, auto sized thumbnails, Cufon font replacement, multiple shortcodes, typography options, unlimited colors, full or fixed width site layout, 3/4/5 column footer, 5 custom widgets, 10 portfolio styles, popular post module, integrated social media sharing, portfolio video support, ajax contact form, nested comments and much more. Extensive options panel, unlimited color options, custom typography options, Cufon font replacement, one click post display settings, related posts, jQuery image slider, jQuery portfolio, jQuery lightbox, drop down menu, multiple shortcodes, jQuery/ajax contact form, Google analytics, SEO options. Mega submenus, 70+ shortcodes, 6 custom post types, unlimited backgrounds, 20 fonts, 10 skins, 5 portfolio layouts, 3 slideshow types, 5 gallery layouts, 2 blog layouts, modular homepage, custom user registration/profile/login pages, WPML support, full with layout, 5 custom widgets, 11 sidebars, video support. Plugin-free E-commerce theme. Extensive theme options panel, flexible homepage layout, skin editor, semi-function user purchase/registration system, front end profile editor, front end new user registration, latest products homepage slider carousel, 2 homepage sliders, video support, automatic thumbnails, ajax newsletter and contact form, 60+ shortcodes, many shopping cart features and much more. 8 custom widgets, extensive options panel, 3 custom post types, 50+ custom shortcodes, 6 custom pages, ajax contact form, jQuery Quicksand integration, 2 sliders, full width and fixed width layouts, 8 background patterns, 90 fonts, unlimited sidebars. Unlimited colors, Cufon font replacement, multiple sliders, filterable portfolio/gallery, Colorbox lightbox, drop down menus, Ajax contact form, Twitter widget, footer widgets, social integration, Google analytics, SEO options. 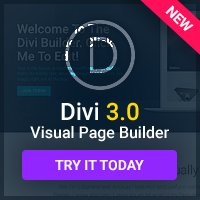 3 sliders, video support, many shortcodes, unlimited sidebars, powerful admin panel, 10 page templates, custom widgets, threaded comments, skin constructor, contact page, lightbox with video support, Cufon font replacement, table generator. Layered PSD, layered PNG, images, CSS, html, JS and PHP files included. 11 color schemes, Cufon font replacement, powerful typography settings, 30+ shortcodes, social media icons, slideshow banner, html banners, posts featured image, threaded comments, movable sidebar area, additional sidebars, 3 page templates, grid-based design, Google analytics.